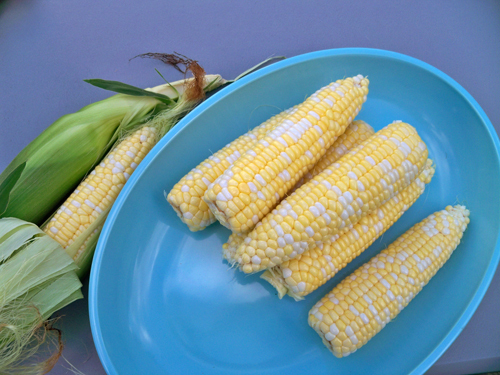 We have been getting fresh corn on the cob with our CSA veggies. Sometimes that is all I need for supper! I have been reading about Mexican Corn on the Cob. I think that is what I am going to try with the next batch we get. A place here got a write-up in Sunset for tacos and the corn. The tacos were ok, but I'm afraid the corn was the only thing it has going for it. This recipe sounds exactly like what they use. That corn is too pretty to eat!